Want to extend the warranty on the new piece of equipment* you just purchased? How about adding warranty to that pre-owned unit** you are looking at right now? Mazergroup Regina can cover you on both occasions. We have a broad selection of plans to suit whatever coverage you require. Provides protection beyond the Manufacturer’s Base Warranty Period. Plans can be customized to meet individual needs. Plans may be financed on CNH Industrial Capital America LLC. (CNH Industrial Capital) retail installment contracts and leases (retail contract) or commercial revolving accounts. Eligible repairs completed by authorized service technicians using genuine OEM parts. New Equipment Plans may be transferred to a new owner at no charge. 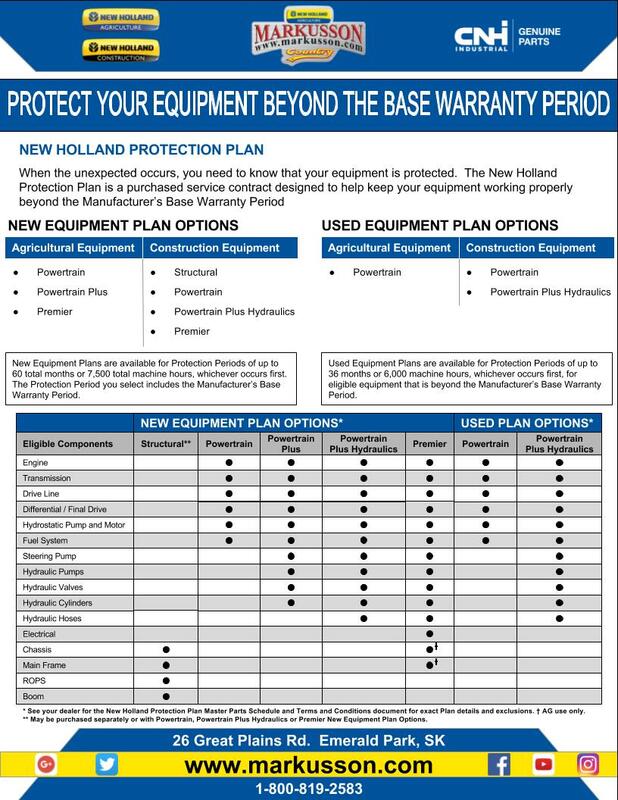 Equipment that is within the Manufacturer’s Base Warranty Period, or up to 120 days beyond the expiration of the Manufacturer’s Base Warranty Period, may be eligible for a New Equipment Plan. Equipment that is less than seven years old and has less than 7,000 machine hours, may be eligible for a Used Equipment Plan.